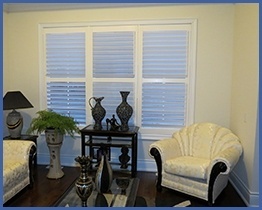 For 30 years, Unique Shutters has serviced hundreds of homes in the GTA with shutters and blinds. Most of our business comes from good word of mouth and recommendations from satisfied buyers. It's due to our exceptional prices, customer service and our final product. From wood shutters to vinyl shutters, we offer a wide selection of louvre sizes, colours and other options to suit your home decor needs. With several styles to choose from including: highlight shades, venetian blinds and shear horizontal blinds. We have exactly what you're looking for. We're not done until you're satisfied with your new shutters or blinds. Select from our extensive selection of Blinds and Shutters, and find the perfect window treatment product to compliment your space. At Unique Shutters, we offer personalized and customized window treatments including shutters and blinds, with many options to choose from to fit your home decor and personal tastes. Contact our Window Treatment Experts for all your window treatment needs. We've got almost a dozen different designer blinds and shades to choose from. We offer honest and reliable estimates, and we like to think we do it right. But, don’t just take our word for it, our customers give us rave reviews! Whether it’s our quick, quality, friendly service or the honesty and value we bring to every interaction, our customers love us. "Frank was amazing! Great price (cheaper that other vendors), great quality and customer service is his #1 focus. He was accommodating for our time for install, he was very flexible with options and large shutters and the overall experience was amazing. 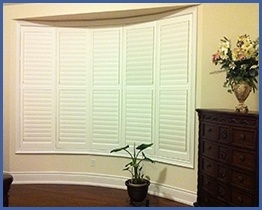 Definitely recommend him and unique shutters to anyone!" 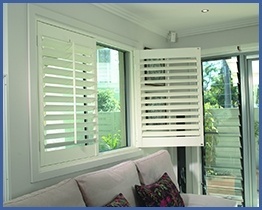 "Very happy with my shutters. Frank quoted and installed the shutters, he did an amazing job. 6 years later there was some natural wear and tear due to a lot of condensation on my windows (needed new windows), Frank who is sole owner of Unique Shutters now came in and repaired my windows. They look brand new. He is doing repairs for his old clients, very professional and tries to meet your needs. Best prices too." "My husband and I had just bought our first home and had spent months trying out to figure out what type of window company to go for and what kind of window coverings we wanted. We did a lot of research and had numerous quotes. 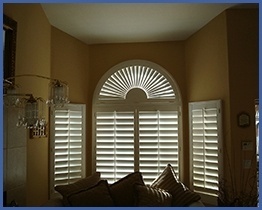 We had a recommendation for Unique Shutters, but were a bit frightened off from our original quote. We met with them again six months later and went through all our options and comprised to get the main floor done. They were excellent to work with! They really accommodated us and helped negotiate to fit our budget. They built and installed the blinds 3 weeks later. We couldn't be happier!!! We have already recommended them several times!"